It's not often that we get an up-close glimpse into the lives of wild pandas. But this infrared video clip offers just that. 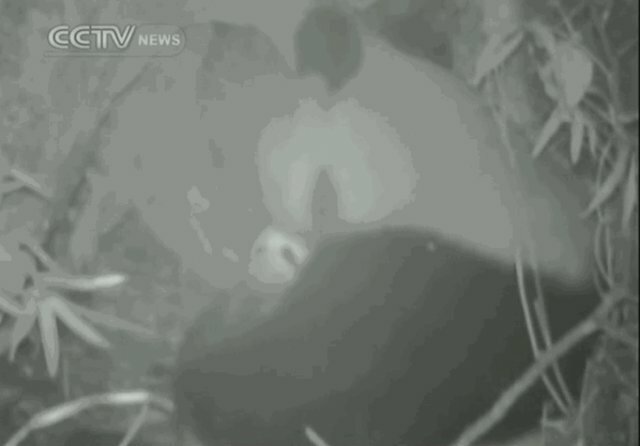 The camera spied a female panda resting with her newborn cub in a cave at a nature reserve in Sichuan, China. Mom licks her cub to calm her baby down, then take a long nap inside the cave. 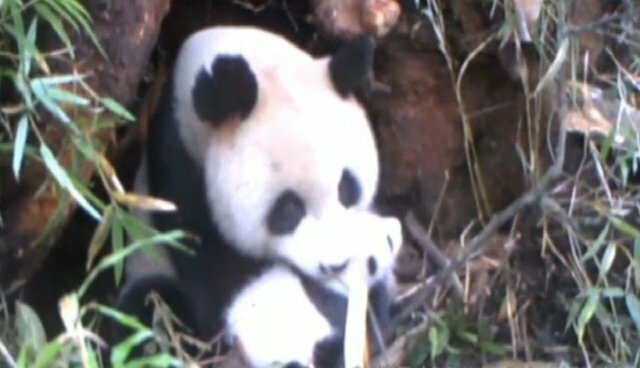 Researchers are reportedly using this footage and other images like it to study panda reproduction. There's no better time for it, too, as giant pandas are considered an endangered species by the International Union for Conservation of Nature (IUCN) Red List. There were an estimated 1,600 pandas alive in the wild in 2004, according to the last census. While this number has risen in recent years thanks to targeted conservation and breeding programs, pandas aren't in the clear just yet. The bamboo forests where they live are threatened by deforestation, while poaching and the illegal wildlife trade pose threats as well. See the World Wildlife Fund for more information on issues facing pandas and how to help the iconic species.